Welcome to our guide to the best wireless headphones available today. For this guide we have carefully collected the most popular wireless headphones available today based on critic scores, user reviews and real world performance. There is quite possibly nothing more annoying than wanting to listen to music while going about one’s day, but then having to tackle tangled wires before doing so. 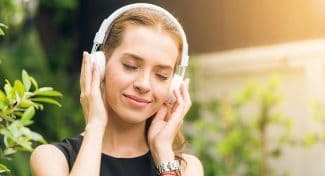 Wireless headphones connect via Bluetooth to any Bluetooth enabled playback device, so you no longer need to worry about tangled cords. They are battery powered and their batteries usually have enough capacity to last an entire day on a single charge. Most wireless headphones also come with a 3.5mm AUX cable that allows one to plug directly into their playback device in case the headphones battery is exhausted. If you are looking for hassle and tangle free music listening at work or during your leisure time, then wireless headphones are the perfect option for you. The Bluedio Turbine T2s over-ear wireless headphones have a great design and are appealing, but their sound quality is said to be average, with the bass being the only strong point. They are advertised as having a battery life of around 40 hours, which is quite honestly crazy in comparison with other wireless headphones. There were numerous mentions of their overall comfort, with users finding them easy to wear. 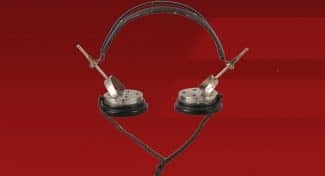 However, one user with long hair found that his hair got stuck in the earcup swivels, suggesting that he had a painful experience with these headphones. They have the standard 20 Hz – 20,000 Hz frequency range and weigh in at around 7.9oz. Their Bluetooth transmission distance is around 32 ft, and this is considering there are no walls or anything that could potentially interrupt the signal. Many really like their intuitive control system, saying that it made the headphones really easy to use. Some reports suggest that there may some issues relating to durability, with one user finding that his headphones stopped charging after regular use. Fortunately these do come with aux capabilities, so one can plug them in if need be. 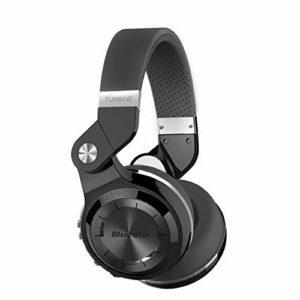 The Bluedio Turbine T2s is a really well priced headphone with a cool looking design, however, the overall sound signature is average and they may have issues relating to their durability. The Bluedio Turbine T2s is well priced and has a visually appealing design, but its audio is average and it may have durability issues. The Avantree Audition wireless over-ear headphone affords users decent sound quality without breaking the bank. One user pointed out that it offers clean mids and clear highs, along with a decent low end. Their audio quality, coupled with their comfortable design, received the most positive remarks from users. Their battery life is said to reach around 32 hours on a single charge, and they are able to connect to two Bluetooth devices at the same time. They have an included mic for call taking and a multifunction control which is said to be large and easy to use. They have an included 3.5mm audio cable for when the battery runs out and have the standard 20Hz – 20,000Hz frequency range. Some users found that the headphones had some durability issues, with various reports of breakages. They do come with a 12 month warranty, so if any issues present themselves within that time, you can always get them repaired free of charge. 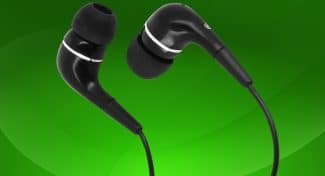 The inexpensive Avantree Audition wireless over-ear headphones have decent audio quality and offer a comfortable listening experience, but they may have some issues relating to durability. 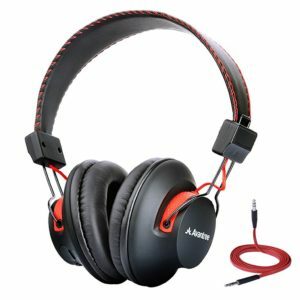 The Avantree Audition is an ideal budget headphone for those looking for decent sound, comfort and a long battery life, but it may have some durability issues, with various reports of breakages. The Photive BTH3 wireless over-ear headphones have a rather appealing design and the earcups house 40mm drivers that are said to push out fairly decent sound quality. Their Bluetooth range is said to be pretty solid with reports stating that they are able to maintain a solid connection. Their battery life extends to around 12 hours and they do have an included 3.5mm aux cable in case of the battery dying. They have on board controls for changing music or volume and they do have a built-in mic for making and taking calls. There were various reports of breakages from users, with some finding that they do not last as long as they had hoped. This was limited to the negative reviews on Amazon.com, however, as others did not have issues relating to their durability. Their frequency range ranges from 20Hz to 20,000Hz and they are said to be comfortable. The Photive BTH3 may suffer from some durability issues, but it delivers a decent sound at a reasonable price and are comfortable overall. The Photive BTH3 wireless over-ear headphone reportedly has durability issues, but it does offer decent audio playback, decent noise cancellation, a strong Bluetooth connection and comfort. The Skullcandy Hesh 2 wireless over-ear headphones are said to have a balanced audio playback, with users finding that the mids and highs are clean and that the bass is just right. Some did find that the low end needs an EQ boost, however, suggesting a potential lack in the bass frequencies. Most found the 12 hour battery life to be more than enough for their needs and found that the built-in mic delivered clean and clear voice chats. Most users found that the memory foam provided sufficient comfort for long periods of listening. While the Bluetooth connection along with its range is solid, some found that the volume dropped when played wirelessly compared to when wired. They pack a solid 50mm driver per earcup, so when wired (it comes with an included 3.5mm cable), they should be able to push out louder volumes. They are not able to fold away for storage purposes and are quite heavy according to some. Their over-ear design gives them decent passive noise cancelling abilities too. The Skullcandy Hesh 2 wireless over-ear headphones may lack some bass and are somewhat softer when played via Bluetooth, but they offer a decently balanced audio playback for those who like the bass unboosted and they do offer comfortable listening experiences. 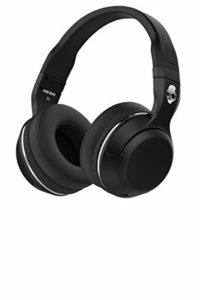 Users found that the Skullcandy Hesh 2 offers a comfortable listening experience and balanced audio, although it may lack some bass for those looking for a boomy low end and the volume is seemingly lower when played via Bluetooth as opposed to wired. 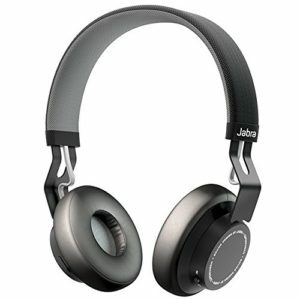 The Jabra MOVE on-ear wireless headphones are said to offer a decent audio experience at a reasonable price. Some found that although they are not as bass heavy as they would have liked, their sound signature is still palatable. They are said to maintain a solid Bluetooth connection and are able to pair with most devices very easily. Their product page on Amazon.com seems to preach durability, yet many found that the material that covers the earcups split after while, exposing the inner foam. According to Jabra’s responses to customer reviews on this issues, they said that they do provide replaceable earcups and the reason that they were splitting was due to an adhesive that was not very durable. So this issue seems to be common with the first batch they sent out. Most users did find them comfortable to wear and thought the battery life was decently long for their intended use. All-in-all, the Jabra MOVE may present one with some durability issues relating to its earcups, but it offers a decent overall sound and functions well as a on-ear wireless headphone. The Jabra MOVE offers decent audio quality, decent battery life and has reliable Bluetooth connectivity, but their earcup covers seem to be poorly made. The Sony MDRXB950BT wireless headphone is known for its solid bass response, earning it a spot in our Best DJ and Bass Headphones Guide too. They have incorporated a bass boost button which pumps up the bass a few notches, which is said to warm up the overall sound a little. Users thought that the mids and highs were satisfactory considering the additional bass frequencies. When playing on Bluetooth, the overall frequency range ranges from 20 Hz – 20,000 Hz. When it is playing via the included 3.5mm Aux cable, it goes from 3 Hz – 20, 000 Hz. Some found them to be quite bulky when worn, and one user did find that the earcups made one’s ears rather warm after extended periods of use. Most did find them comfortable, however, and had no real complaints relating to the overall comfort of the headphones. They have an included microphone for calls and their battery life is said to last around 20 hours. They have excellent noise isolation according to users and charge really easily via a microUSB cable. 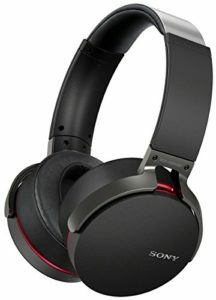 The Sony MDRXB950BT wireless headphones have great noise isolating abilities and a solid low end for bassheads, but they may be too bulky for some and they may make the ears warm after long periods of use. 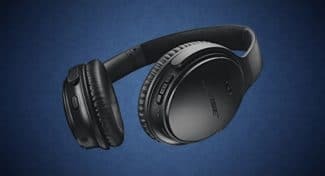 The Bose SoundLink over-ear wireless headphones offer users detailed audio quality and a very comfortable overall listening experience. Many customers found that they are lightweight and that they sit well around the ears. They weigh in at 6.9-oz. The product description suggests that they have a dual microphone for ambient noise rejection when on calls. However, one user did find that they do catch quite a bit of background music during calls. Some users also found their controls are slightly small, making it hard to skip or play tracks. However, these seemed to be quite subjective experiences, as others quite like the smaller controls. Their earcups are made from memory foam and they are said to maintain their connection to Bluetooth devices well. They are able to connect to two different Bluetooth devices simultaneously and have around 15 hours of battery life, allowing for a full day of listening. The Bose SoundLink wireless headphones are very comfortable and have great audio, but their small control buttons may annoy some. The mic may also not be that effective at cancelling out background noise. The Bose SoundLink offers great audio quality with what is said to be awesome comfort, but some found that their control buttons are rather small and that the microphone pics up background noise. 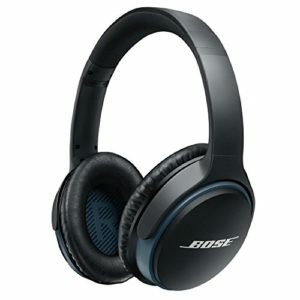 The Bose QuietComfort 35 features in a few of our guides. It’s primary function is noise cancellation, allowing for music listening in the noisier environments, including airplanes, trains or cities. 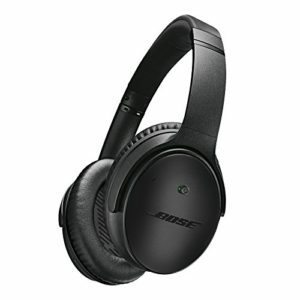 Some users thought that it could have been useful if one could turn off noise cancellation, suggesting that it can get slightly annoying having it on all the time. While some thought it could use more bass, others found the QuietComfort’s sound signature satisfactory. They are said to be rather lightweight and comfortable overall and have a solid battery life of around 20 hours. Their Bluetooth reception is solid according to most users and they come with a noise-rejecting dual-microphone, allowing clear calls in both noisy and windy environments. 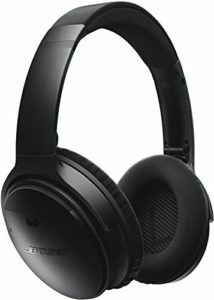 the Bose QuietComfort 35 is a solid wireless headphone that has some awesome noise cancelling abilities. 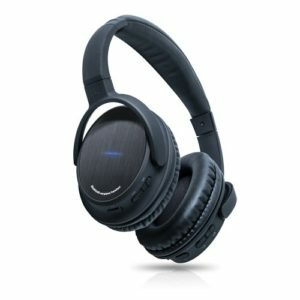 TThe Sennheiser Momentum 2.0 wireless headphone is said to connect easily via Bluetooth, but some had issues with it maintaining that connection, finding that moving around interrupted their listening experience. However, these reports were not consistent, with many not having any issues at all. 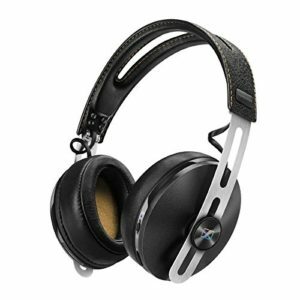 They come with with 4 microphones and what Sennheiser refers to as Noise Guard hybrid active noise-cancellation, assisting in cancelling out external sounds, which is why these have also earned a spot in our Best Noise Cancelling Headphones. The Momentum 2.0 has received praise for its accurate sound reproduction, with users finding they are not excessively bassy, but fairly flat in their response. Their build quality is said to be rather solid, but some did report that their exterior finish peeled over time. They have a pretty good warranty that should cover that according to some user comments, along with the fact that Sennheiser did mention that these issues were unique to the first batch that was sent out. They have dual built-in microphones for dynamically cancelling out external noise while on voice calls.The battery life of around 22 hours is solid and it allows for 2 devices to be paired simultaneously. 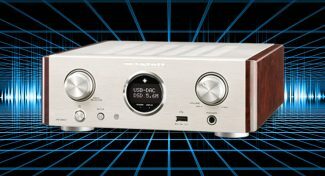 The Sennheiser Momentum 2.0 may have mixed reviews relating to their Bluetooth connection stability, but the long battery life, excellent noise cancellation and solid audio performance of these make up for that.